A Bexhill boy who has Type 1 diabetes is one of the faces for the new '100 things I wish I'd known about diabetes' campaign. 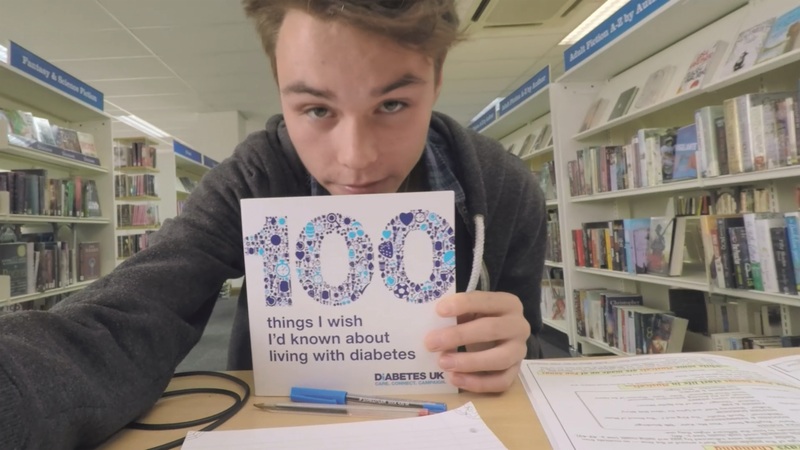 A Bexhill boy who has Type 1 diabetes is one of the faces for the new '100 things I wish I'd known about diabetes' campaign, which sees people living with the condition sharing their advice with others who have been affected by diabetes. Archie Norris (17), was diagnosed with Type 1 diabetes when he was 12. He had many of the classic symptoms and had lost a lot of weight and had started to drink loads of water. Archie will be seen in TV and print adverts for the campaign, which is also being promoted through on TV, online and in print ads. Archie's dad, Simon said: “Many people actually know very little about diabetes but many people know someone with the condition. This book goes some way to help people to understand what daily life is like for someone with the condition and includes some really useful tips, many that you would never know. I wish we had this book when our son was first diagnosed! “The tip in the book that we found useful was that you could take an extra bag for medication when travelling abroad. Jill Steaton, Diabetes UK South East Regional Head, said: “We are really grateful to Archie for starring in our '100 things I wish I'd known about diabetes' campaign. With it being focused on people with diabetes sharing advice with others who are living with the condition we were delighted to have the support of someone who lives with the condition day in and day out for our campaign.